I may or may not have been feeling a little thirsty when I made my next two cards! Just like the last two cards I posted about, I used images from my new Doodle Stitching Kit. 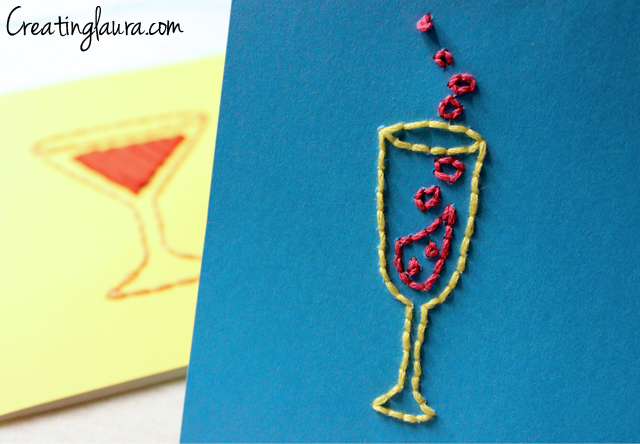 I wanted to use the satin stitch to make the red liquid in the martini glass, but I knew that I would end up ripping the card if I made that many holes that close together on the card. 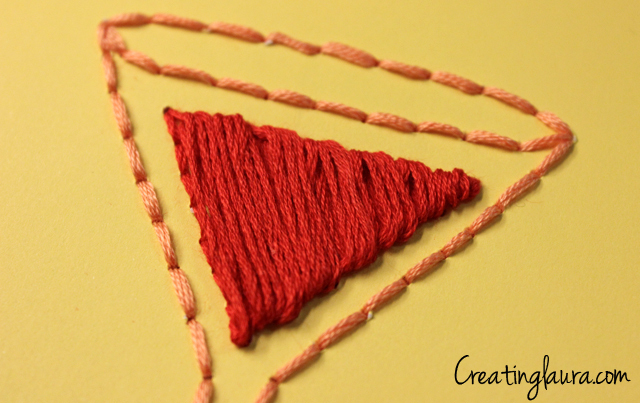 I avoided that problem by outlining the red area with a backstitch, then threading the satin stitch around the backstitched outline instead of through the card itself. 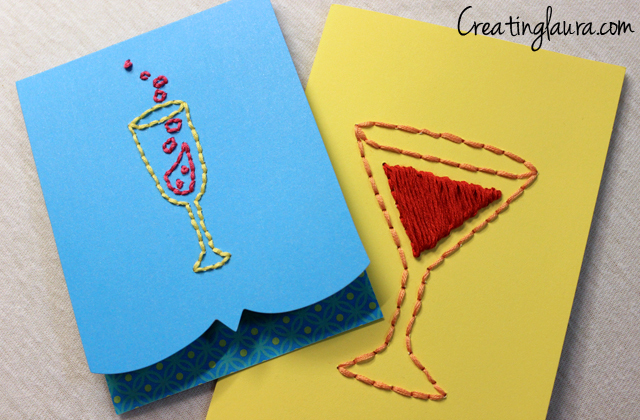 I just used regular old backstitching on the card with the champagne glass. I wasn't sure how the bubbles would turn out, but I think they ended up looking alright. I especially like the two little ones inside the champagne, and I sort of wish I had made them all that small. I need to pick up my stitching pace if I'm going to have enough cards finished by Saturday... I hope I can do it! I'm going to get back to work on it right now. Those are such cute cards! I love the design. 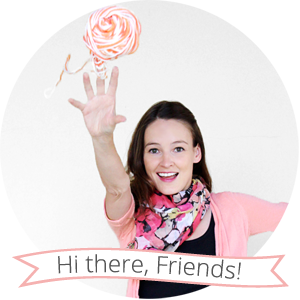 Your friends are going to love them! Those cards are great! Such fun! Love this idea! These are so fun!